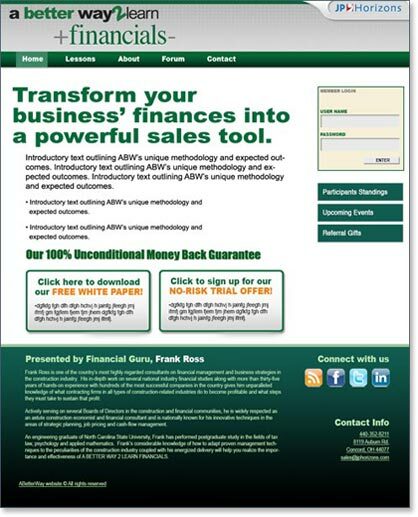 The ABetterWay2Learn Financials website features two free tutorials to entice prospects to purchase the full 36 training videos and worksheets. We created auto-responders for the upfront marketing that unlock the first two free levels. From there an additional layer of marketing emails prompt the user to purchase the full course – the completion of each course unlocks the next. All material is carefully password protected so only registered users can access their particular level of information and videos.